There are many stories of the Holocaust. Some just to gruesome to share. The devastation that was wrought in the wake of Hitler’s concentration camps is almost beyond what the mind can fathom. And yet, there are still many with us that can never forget. They are haunted by the past, while they try to face the future, many still destitute. At My Olive Tree, as we prepare to remember Holocaust Memorial Day, we are currently partnering with a very special group of individuals in Jerusalem who provide care for survivors of the Holocaust. Many of them have left their native homelands in their old age to come to Israel, speaking limited Hebrew and financially stressed. It is our very honored privilege to sponsor over 500 of these men and women. Through the years your generous support has provided much needed medical equipment, upgrades to bathroom, and kitchens that were desperately in need of repair, and special holiday meals. Today on April 24th we are offering a unique opportunity to provide warm blankets to 277 of these individuals. When you sponsor a tree in memory of a victim of the Holocaust, part of those proceeds will go towards continuing to bless the lives of those who survived. However, there are still names in need of a sponsor. Won’t you sow a seed of hope into the families who suffered such tremendous loss and hardship? We invite you to be a voice for those who can no longer speak for themselves. 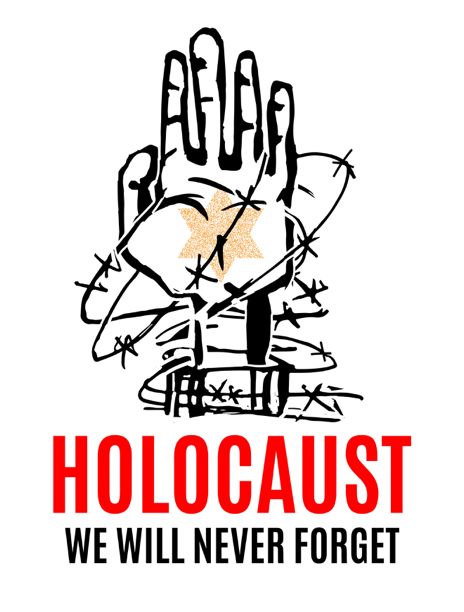 We invite you to stand against anti-Semitism both for the living and for the deceased.